Well, as you can see from my photo above, this didn't exactly turn into a "cannelloni" with stuffed and rolled slices of eggplant smothered in Romesco Sauce. It ended up as an eggplant lasagna without the noodles. Why? Because the eggplants available to me on the day that the shopping was done were on the smaller side, not long enough to be able to stuff and roll. So I improvised and laid the ingredients out as you would a lasagna. This just might be the most delicious Nutritarian entree of all time. 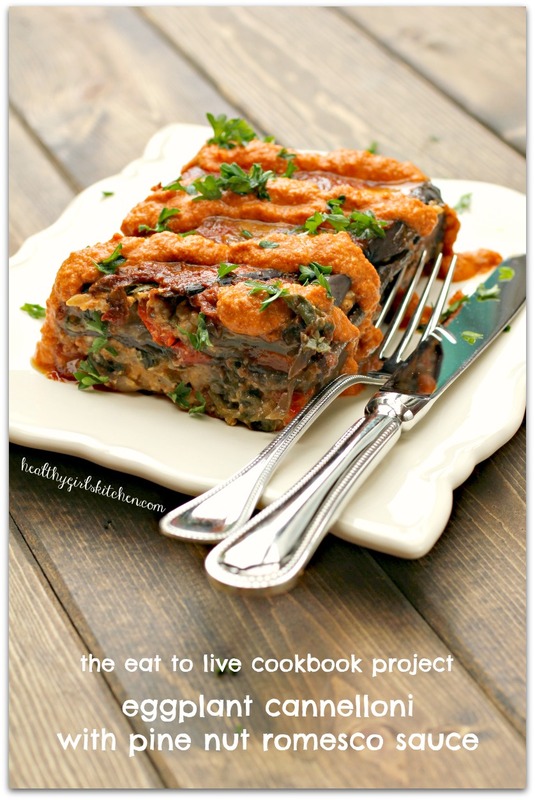 Related Post "Eat to Live Cookbook: Eggplant Cannelloni with Pine Nut Romesco Sauce"